Gun checks remained flat in November as estimated sales declined more than 10 percent, according to federal data. Dealers processed nearly 2.4 million applications through the National Instant Criminal Background Check System last month. Estimated gun sales — the sum of transfers in the NICS’s handgun, long gun, multiple and other categories — fell 10.4 percent over 2017 and totaled 1,234,665. 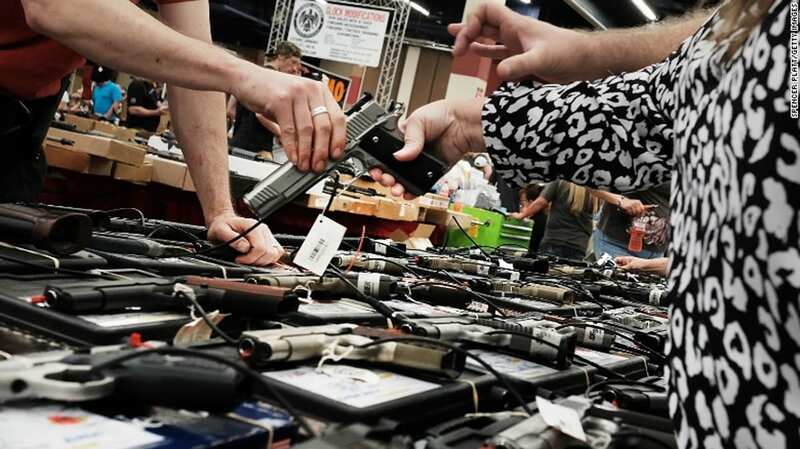 Dealers processed nearly 583,000 applications for handguns and just over 568,000 applications for long guns last month. The latter represents the slowest November recorded since 2011. Likewise, long gun tallies for October sank to 10-year lows, returning to levels not seen since before the election of former President Barack Obama. September fared even worse, ranking dead last in the 20-year history of NICS. Historical patterns for the industry suggest checks and sales will hit annual highs as the holiday season nears — typically the busiest time for retailers. Publicly traded gun companies — including Smith & Wesson and Sturm, Ruger and Company — consider fall and winter months the most profitable. November’s estimated sales appear to confirm this year will prove no different, with tallies spiking 25 percent over October. Although overall Black Friday checks for guns were down 10 percent over 2017, transactions for the week of Thanksgiving hit all-time highs. 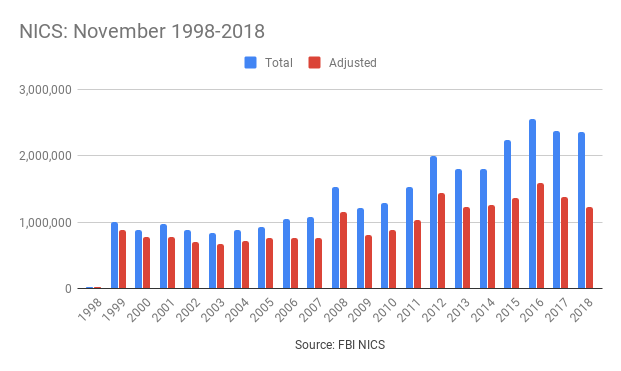 The current year remains on track to rank as one of the top three busiest for NICS checks since the FBI first began keeping records in 1998.